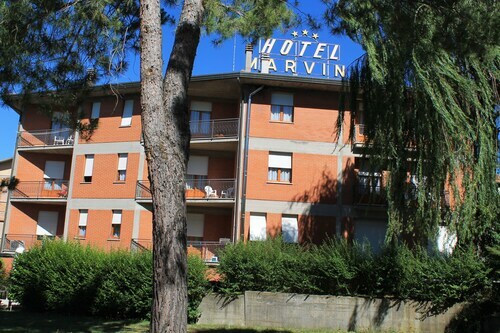 Situated in a rural location, this hotel is within 1 mi (2 km) of Val di Chiana and Terme di Montepulciano Spa. San Biagio and Torre del Pulcinella are also within 2 mi (3 km). 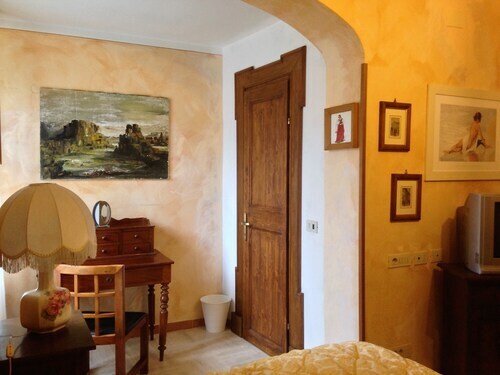 Situated in Montepulciano, this bed & breakfast is within a 10-minute walk of Val di Chiana and Terme di Montepulciano Spa. Archaeological Civic Museum and Terme Sant'Elena are also within 3 mi (5 km). 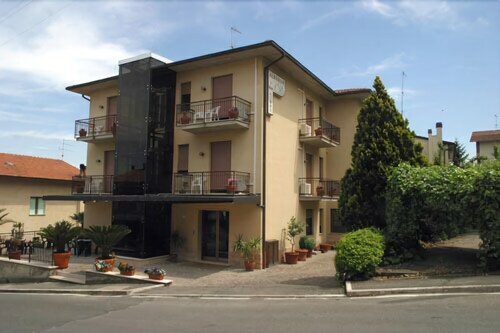 Situated in the historical district, this hotel is steps from Val di Chiana and Terme di Montepulciano Spa. Archaeological Civic Museum and Terme Sant'Elena are also within 3 mi (5 km). 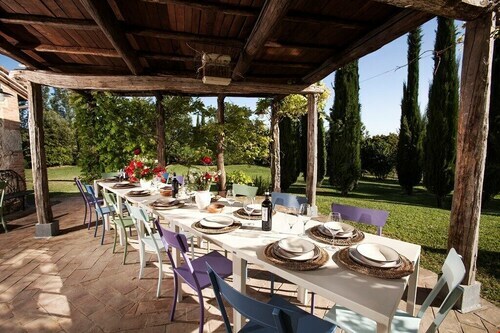 Situated in a rural location, this villa is within a 10-minute walk of Val di Chiana and Terme di Montepulciano Spa. Archaeological Civic Museum and Terme Sant'Elena are also within 3 mi (5 km). 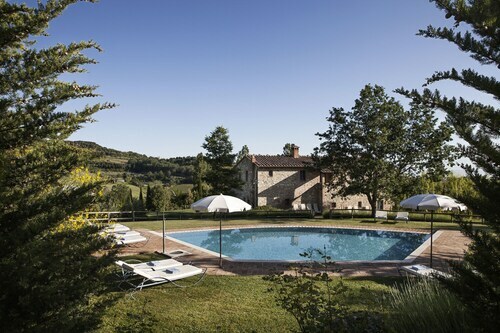 Situated in the mountains, this farm stay is within a 10-minute walk of Val di Chiana and Terme di Montepulciano Spa. Archaeological Civic Museum and Terme Sant'Elena are also within 3 mi (5 km). Situated in Montepulciano, this hotel is within a 15-minute walk of Val di Chiana and Terme di Montepulciano Spa. Archaeological Civic Museum and Terme Sant'Elena are also within 3 mi (5 km). 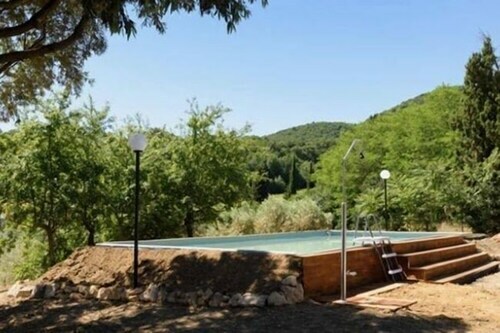 Situated in a rural location, this vacation home is within a 10-minute walk of Val di Chiana and Terme di Montepulciano Spa. Archaeological Civic Museum and Terme Sant'Elena are also within 3 mi (5 km). Situated in the suburbs, this hotel is within a 15-minute walk of Val di Chiana and Terme di Montepulciano Spa. Archaeological Civic Museum and Terme Sant'Elena are also within 2 mi (3 km). 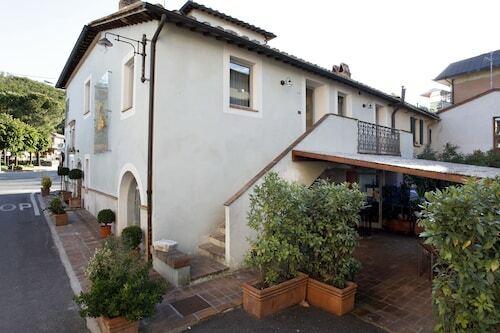 Located in the heart of Montepulciano, this property is within 1 mi (2 km) of Val di Chiana and Terme di Montepulciano Spa. Piscine Termali Theia and Archaeological Civic Museum are also within 3 mi (5 km). 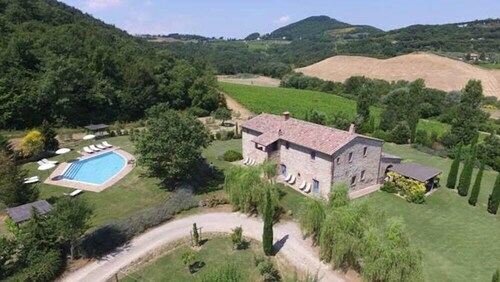 This family-friendly Montepulciano property is located in a rural location, within 1 mi (2 km) of Val di Chiana and Terme di Montepulciano Spa. Terme Sant'Elena and Archaeological Civic Museum are also within 3 mi (5 km). Situated in Montepulciano, this country house is within a 15-minute walk of Val di Chiana and Terme di Montepulciano Spa. Archaeological Civic Museum and Terme Sant'Elena are also within 2 mi (3 km). Pick up the camera, put on your walking shoes and spend a day in the outdoors at Terme di Montepulciano Spa, a marvelous attraction to include in your touring itinerary. You'll discover the attraction in Montepulciano, 90 miles (145 kilometers) out of Rome, the national capital. Just as important as your itinerary is your choice of accommodations. Fortunately, there are 44 options in the general area of Terme di Montepulciano Spa. The Il Tosco, 2 miles (3 kilometers) away, is one place to start looking. You may also like to have a look at the Palazzo Carletti, 2 miles (3 kilometers) away, and the Etruria Resort & Natural Spa, 2 miles (3 kilometers) away. If you're planning to travel on the cheap, you'll be pleased to find out that there are some low-priced hotels a short stroll away. Two examples are the Hotel Sangallo and the Agriturismo Pietra del Diavolo, which are located 1 mile (2 kilometers) and 0.9 miles (1.4 kilometers) away, respectively. A short commute away, you will find a handful of top-end establishments for you to enjoy. The Alexander Hotel Palme and Hotel Rotelle are excellent. One of the fun things about vacations is sampling lots of tasty food. Make sure you try Ristorante Il Cavaliere (Via Delle Terme S. Albino, 24, Montepulciano). Afterwards, why not stroll over to Caffe' Sorriso Di Fe' Ilenia (Via delle Terme, 18, Sant'Albino) for a drink among friends? Give your kids a chance to burn off a bit of their energy by running around and playing at Terme Sant'Elena, a grassy getaway. Plan to see Torre del Pulcinella, a significant feature of the local horizon and the area's history. The unique exhibits found at Archaeological Civic Museum will make you feel like you've traveled far back in history. Whether you have trained taste buds or just love popping a bottle open with friends, Consorzio del Vino Nobile di Montepulciano is a fabulous place to try the notes and flavors of the area. For greater insight into the character of this area, spend some time exploring the historic Piazza Grande. How Much is a Hotel Room in Terme di Montepulciano Spa? 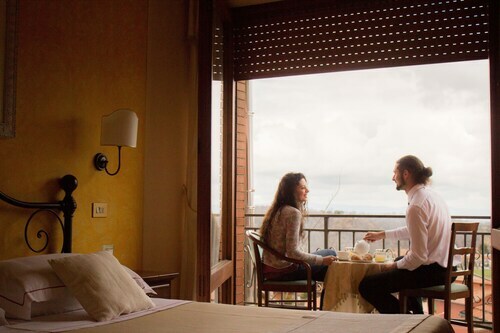 Hotels in Terme di Montepulciano Spa start at $44 per night. Prices and availability subject to change. Additional terms may apply.